Logyx Pack este o colectie de peste 100 de jocuri, pentru toate varstele, care se pot juca intr-o singura interfata pe orice calculator cu Windows. 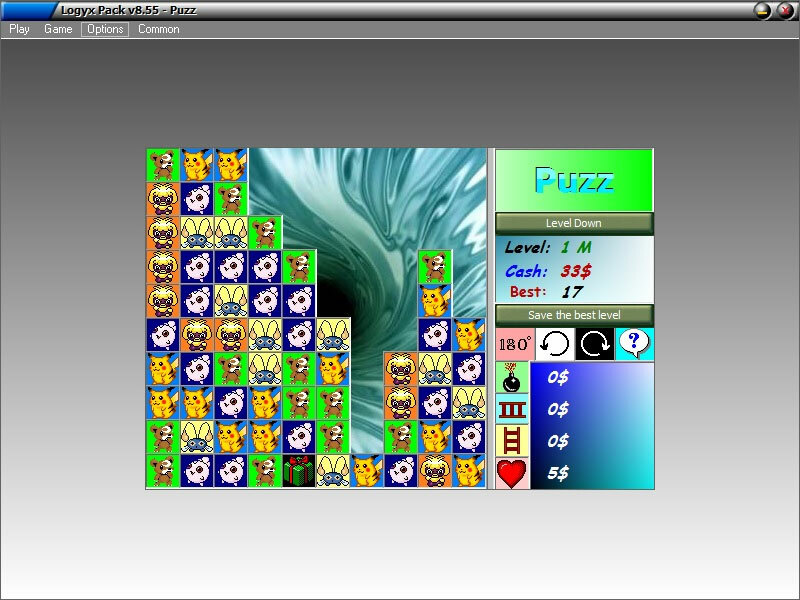 Puzz, Lineo, PipeDrop, Harpy, Zookey, Bapp, Foldex, Hopper, Zoodoku, Yomboku, Mem Pro, Memory, Spiny Goo, Mips, Moc, Inrot, Zyx, Qwez, Zbam, Thux, Rotiz, Woosho, Newpy, Cossai, Crunch, Sanno, Yam Yam, Chakz, Chealla, Chagwa, Choy, N-Queens, N-Rooks, FourMax, PipeSpin, Tac 3D, Symh, Pymh, Minesweeper, Battleships, Dominow, Geex, Micro Mastermind, Micro Yomb, Baca, Tetris, Hextris, Tetrapod, Tangram, Infe, Nam Chess, Checkers, King´s Board, Quirkat, Chicoy, Foado, Tibu, Heho, Three Men´s Morris, Tackle, Kono, PushNPull Sokoban, Magnetron, Atomic, ArrowPath, CarPath, HexaPath, SquarePath, JumpPath, Connect Four, GoMoku, Ha, Icky, Reversi, Shaga, Jumper, Pegs, RotSix, BallRings, Hanoi, Nim, Chomp, SideSwap, SwapJump 1D, Threener, GrowaHex, GrowaSquare, ColorPos, Maze, Wompo, Womto, Inertia, Light Up, Shapo, SlideAll, Klotski, Blobski, Sudoku, Kakuro, DigiShift, Senet, TogLine, PlusMinus, Varikon, Simon Says. Adauga parerea ta despre Logyx Pack 15.02."